Aquafaba is arguably the year's biggest ingredient breakthrough for vegan and egg-free cooks. In case you missed it, it is simply "bean water," the leftover liquid from cooking pulses such as chickpeas and cannellini beans—or as you may more commonly know it, the liquid from your tin of garbanzos that you would usually compost or pour down the drain. Through a process of trial and error and building upon successive discoveries, Joël Roessel and Goose Wohlt found that if you beat this liquid for long enough it whips up to a stiff foam that behaves exactly like beaten egg whites. 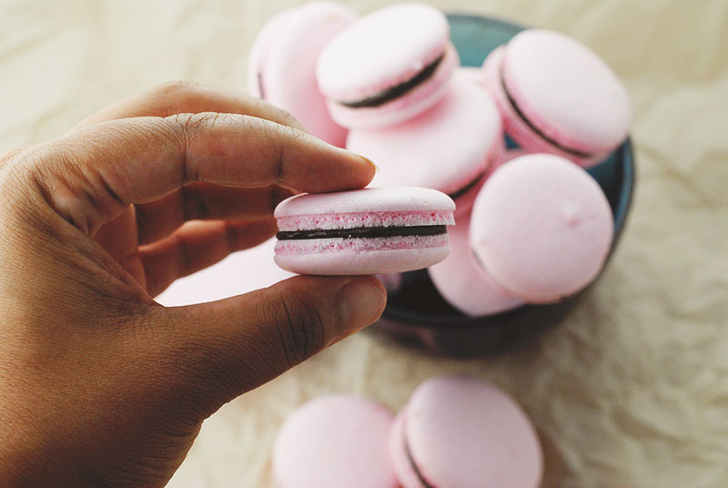 Cue a stampede towards the sugar jar and an explosion of vegan macaron and meringue recipes! But aquafaba doesn't just satisfy a sweet tooth, it can also be used in savory recipes and can even be used to make a cheese substitute. Below we've collected a dozen of the best aquafaba recipes to get you and your family started discovering this amazing and versatile ingredient that's perfect for vegans and anyone suffering from egg allergies. First up, while chickpeas (or garbanzos) are the most commonly mentioned pulse to use for aquafaba, you will get similar results from other mildly flavored, pale-colored beans such as cannellini or lima beans, so experiment if you wish. The choice of whether to use salted or unsalted beans will depend on the recipe; for baking and desserts, unsalted aquafaba is usually recommended. The quick and easy way to get cooking with aquafaba is to use the brine straight out of a can or jar, but one FAQ is whether or not it is possible to make it from scratch using dried beans. The answer is yes: basically, what you are looking for is leftover bean cooking liquid that has a viscous consistency a little like raw egg white. 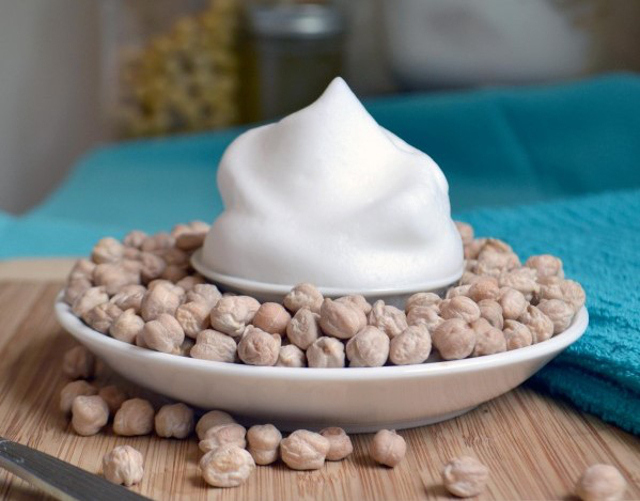 Food Highs has a fantastic step-by-step recipe for making your own aquafaba using dried chickpeas. Once you’ve got the precious liquid, don’t be discouraged if your first attempt at cooking with aquafaba fails—my first batch of meringues melted, but then so did my first-ever egg white meringues, back in the day. Just like regular meringues, the quirks of your oven will affect the outcome, and trial and error will eventually get you the desired result. To help with recipe troubleshooting, be sure to visit the Facebook group Vegan Meringue – Hits and Misses: this is your go-to source for inspiration and consolation as you explore the possibilities of this game-changing ingredient. RELATED | Omnivore, Vegetarian, or Vegan? How Do You Feed Your Child? So here’s where it starts. Master the aquafaba meringue and the following recipes should be a breeze. The Vegan Meringue Facebook group has a basic recipe here. For a more detailed breakdown, It Doesn’t Taste Like Chicken has an illustrated method. Whipping time required seems to vary, and anything from about 6 minutes through to 15 minutes is normal. Obviously, a benchtop mixer with an egg beater attachment will make the work easier, but hand-held electric beaters work just fine too. (There are even whispers of cooks using a hand whisk, but since it takes much longer you might want to change arms often if you go down that path because you could wind up with one bicep considerably bigger than the other!) Once you’ve mastered the meringue, you can move on to pavlova and dacquoise. Gasp! Where to start with these? Regular macarons have been crazy popular, so when a sure-fire vegan version became a reality, recipe writers went bananas. Do you want Mint Chocolate Chip? Raspberry Rose? Blueberry Sesame? Or Peaches and Cream? The blog Avocados and Ales has a great troubleshooting guide to making aquafaba macarons, and the pictured recipe from Jasmine Lukuku of The Blenderist shows just how perfect the results can be. Goose Wohlt is one of the two cooks responsible for perfecting aquafaba. He continues to explore its potential and shares a great waffle recipe on his blog, Goose’s Vegan Cookery. As he says, “I wanted to try something a bit simpler — something without ground flax seeds, garbanzo bean flour, or safflower oil. Those aren’t exactly ingredients everyone has lying around.” Revolutionize your weekend family breakfasts with this vegan waffle recipe that uses staple ingredients you’ll already have in the cupboard. In the same spirit that led to the initial discovery of aquafaba, Hunter and Amy of Peanut Butter & Vegan asked the simple question, “Will it work?” when contemplating using aquafaba to make mayonnaise. 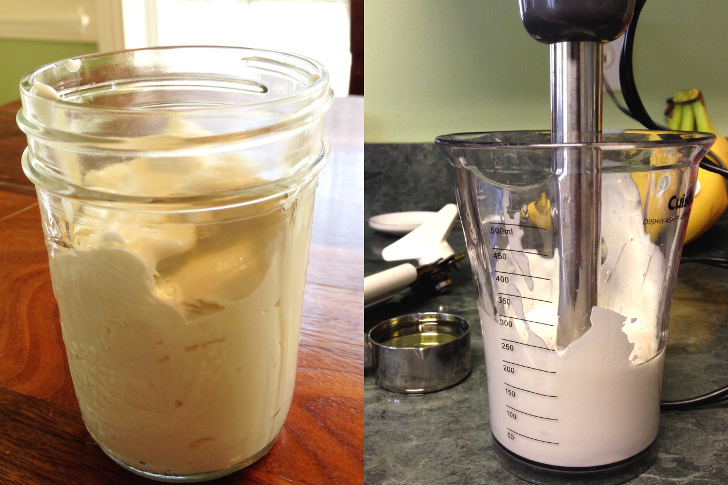 The answer was a resounding, “It totally does!” All it takes is five ingredients and an immersion blender. 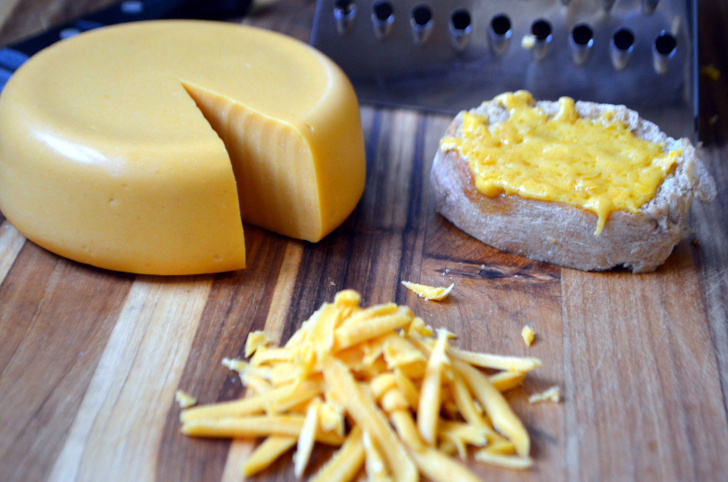 Avocados and Ales’ recipes for vegan mozzarella and cheddar cheeses using aquafaba may seem daunting at first glance, but they are actually pretty simple once you get the ingredients together — and the amount of money you will save on purchasing vegan cheese will make it taste all the better! The mozzarella recipe has an illustrated step-by-step, so be sure to read that recipe first. The inspired recipes just keep coming, and Danish blogger Nina from Plante Pusherne has perfected a quick and easy vegan butter using just five ingredients, one of which is aquafaba. If you scroll down the linked page, she also provides recipes for herbed, chocolate, and lavender butters. 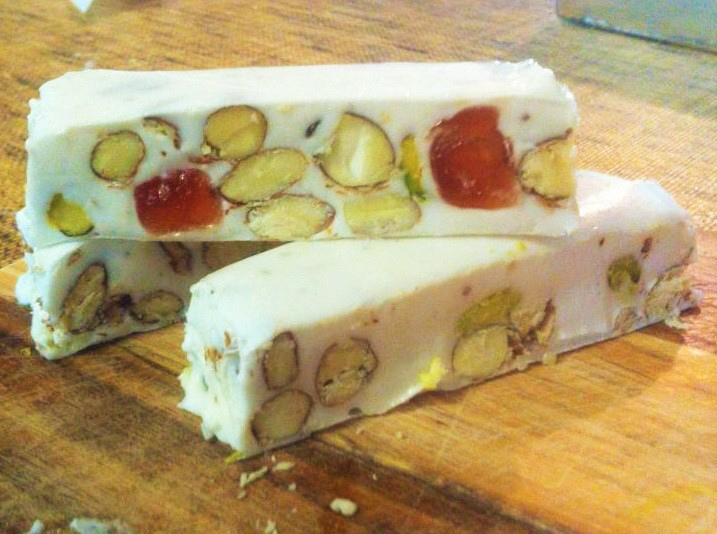 I adore the chewiness of a great nougat, and I love the fact that it can be customized to whatever flavor combination you prefer or have on hand. Sheri Hutchings has (pardon the pun) nutted out the recipe for an aquafaba-based nougat and shared it via the Vegan Meringue Facebook group. Holiday gifts are sorted forever! This tahini pear ice cream with berry swirl recipe using aquafaba seems like a radical combination, but the results look pretty spectacular. Marfig’s Munchies has a number of other aquafaba ice cream recipes to try out, and once you get the hang of it you’ll be customizing your own flavor combinations like a pro! 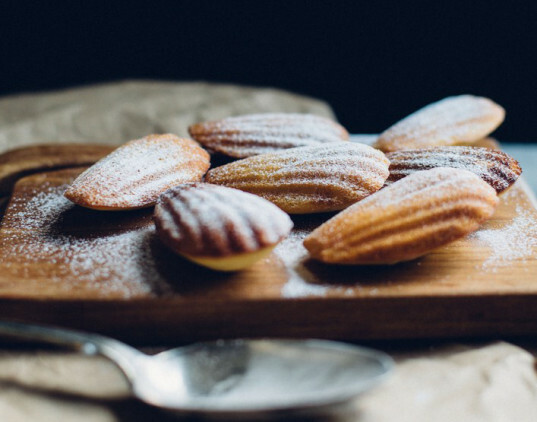 The madeleine is such a special little cake: light and spongy, with just the right hint of citrus, its immortalization by Proust is well justified. This vegan version from Soy Division also calls for vegan butter, so your aquafaba can do double duty if you use recipe 7 above. Do I really need to go into detail about this one? This aquafaba chocolate mousse recipe from Lazy Cat Kitchen makes this dessert practically a health food, and non-vegans will never be the wiser if you don’t mention the ingredients. Oh, my! 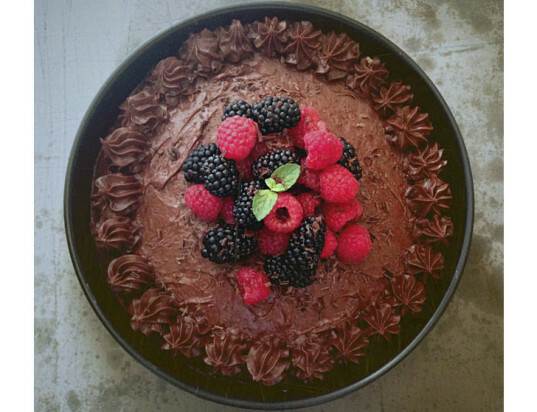 If you need to make a spectacular, celebratory cake for someone special, this fluffy chocolate chickpea cake from Raw Freestyle looks sensational. It’s also free of white sugar, soy, and gluten, so it’s ticking lots of boxes. How hard can it be to find a decent, chewy, vegan choc chip cookie recipe? Quite hard apparently! 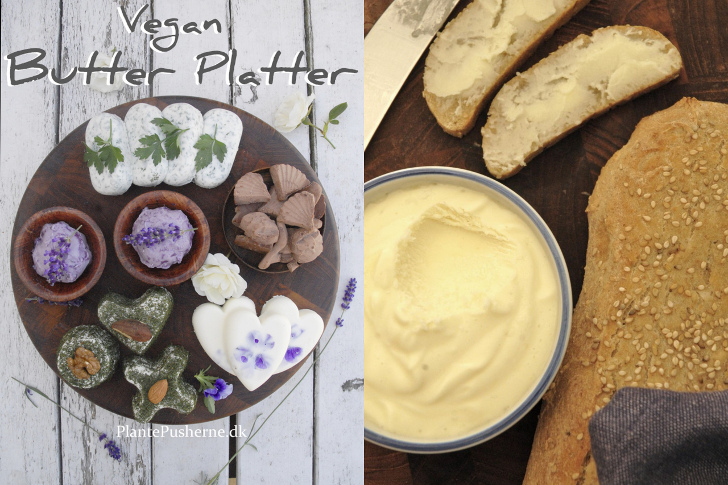 Somer McCowan from Vedged Out swears the aquafaba in this recipe is the best egg replacer ever, and the recipe calls for vegan butter, so back to Nina’s vegan butter recipe you go! First up, while chickpeas (or garbanzos) are the most commonly mentioned pulse to use for aquafaba, you will get similar results from other mildly flavored, pale-colored beans such as cannellini or lima beans, so experiment if you wish. The choice of whether to use salted or unsalted beans will depend on the recipe; for baking and desserts, unsalted aquafaba is usually recommended. The quick and easy way to get cooking with aquafaba is to use the brine straight out of a can or jar, but one FAQ is whether or not it is possible to make it from scratch using dried beans. The answer is yes: basically, what you are looking for is leftover bean cooking liquid that has a viscous consistency a little like raw egg white. Food Highs has a fantastic step-by-step recipe for making your own aquafaba using dried chickpeas. 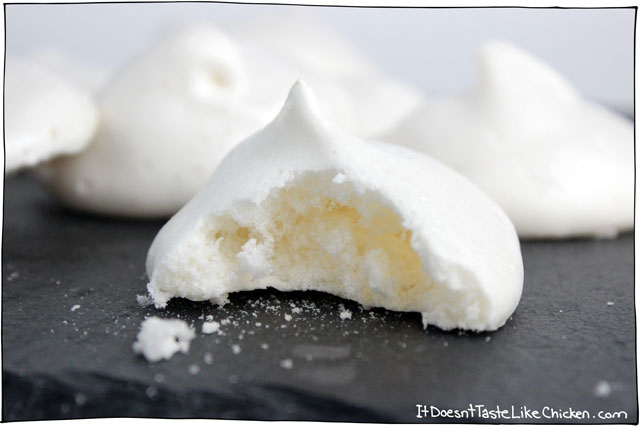 Once you've got the precious liquid, don't be discouraged if your first attempt at cooking with aquafaba fails—my first batch of meringues melted, but then so did my first-ever egg white meringues, back in the day. Just like regular meringues, the quirks of your oven will affect the outcome, and trial and error will eventually get you the desired result. To help with recipe troubleshooting, be sure to visit the Facebook group Vegan Meringue – Hits and Misses: this is your go-to source for inspiration and consolation as you explore the possibilities of this game-changing ingredient. So here's where it starts. Master the aquafaba meringue and the following recipes should be a breeze. The Vegan Meringue Facebook group has a basic recipe here. For a more detailed breakdown, It Doesn't Taste Like Chicken has an illustrated method. Whipping time required seems to vary, and anything from about 6 minutes through to 15 minutes is normal. Obviously, a benchtop mixer with an egg beater attachment will make the work easier, but hand-held electric beaters work just fine too. (There are even whispers of cooks using a hand whisk, but since it takes much longer you might want to change arms often if you go down that path because you could wind up with one bicep considerably bigger than the other!) Once you've mastered the meringue, you can move on to pavlova and dacquoise. Gasp! Where to start with these? Regular macarons have been crazy popular, so when a sure-fire vegan version became a reality, recipe writers went bananas. Do you want Mint Chocolate Chip? Raspberry Rose? Blueberry Sesame? Or Peaches and Cream? The blog Avocados and Ales has a great troubleshooting guide to making aquafaba macarons, and this recipe from Jasmine Lukuku of The Blenderist shows just how perfect the results can be. Goose Wohlt is one of the two cooks responsible for perfecting aquafaba. 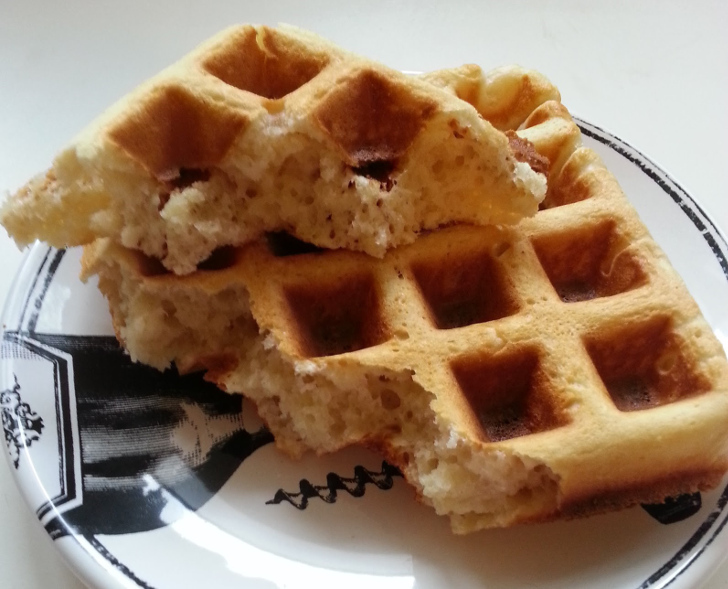 He continues to explore its potential and shares a great waffle recipe on his blog, Goose's Vegan Cookery. As he says, "I wanted to try something a bit simpler — something without ground flax seeds, garbanzo bean flour, or safflower oil. Those aren't exactly ingredients everyone has lying around." Revolutionize your weekend family breakfasts with this vegan waffle recipe that uses staple ingredients you'll already have in the cupboard. In the same spirit that led to the initial discovery of aquafaba, Hunter and Amy of Peanut Butter & Vegan asked the simple question, "Will it work?" when contemplating using aquafaba to make mayonnaise. The answer was a resounding, "It totally does!" All it takes is five ingredients and an immersion blender. Avocados and Ales' recipes for vegan mozzarella and cheddar cheeses using aquafaba may seem daunting at first glance, but they are actually pretty simple once you get the ingredients together and the amount of money you will save on purchasing vegan cheese will make it taste all the better! The mozzarella recipe has an illustrated step-by-step, so be sure to read that recipe first. 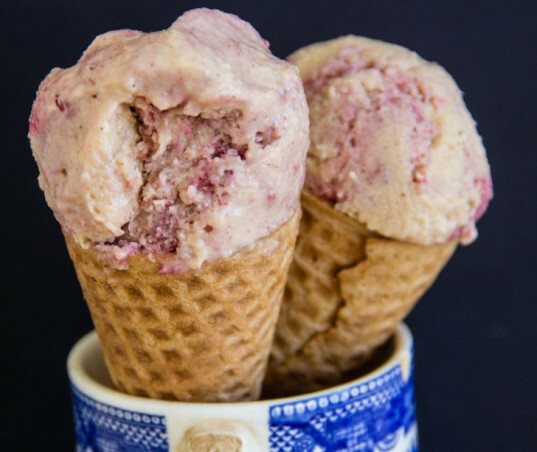 This tahini pear ice cream with berry swirl recipe using aquafaba seems like a radical combination, but the results look pretty spectacular. Marfig's Munchies has a number of other aquafaba ice cream recipes to try out, and once you get the hang of it you'll be customizing your own flavor combinations like a pro! The madeleine is such a special little cake: light and spongy, with just the right hint of citrus, its immortalization by Proust is well justified. This vegan version from Soy Division also calls for vegan butter, so your aquafaba can do double duty if you use recipe 7. Do I really need to go into detail about this one? 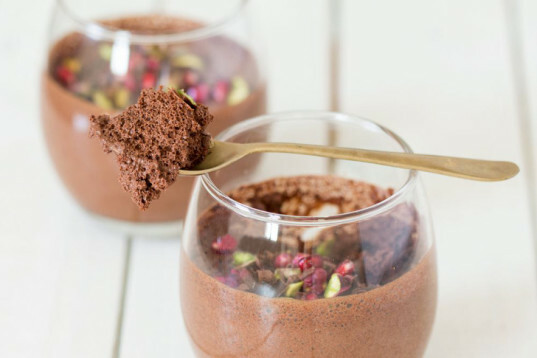 This aquafaba chocolate mousse recipe from Lazy Cat Kitchen makes this dessert practically a health food, and non-vegans will never be the wiser if you don't mention the ingredients. Oh, my! If you need to make a spectacular, celebratory cake for someone special, this fluffy chocolate chickpea cake from Raw Freestyle looks sensational. It's also free of white sugar, soy, and gluten, so it's ticking lots of boxes. 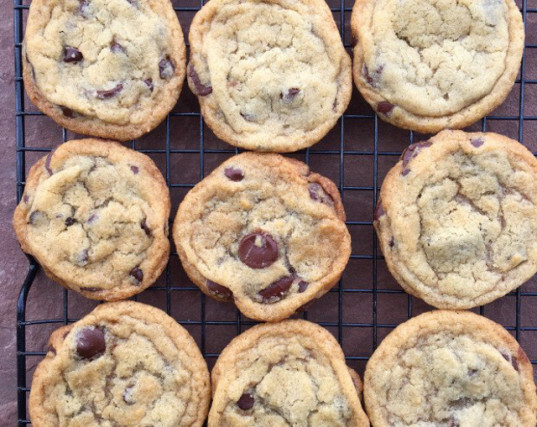 How hard can it be to find a decent, chewy, vegan choc chip cookie recipe? Quite hard apparently! 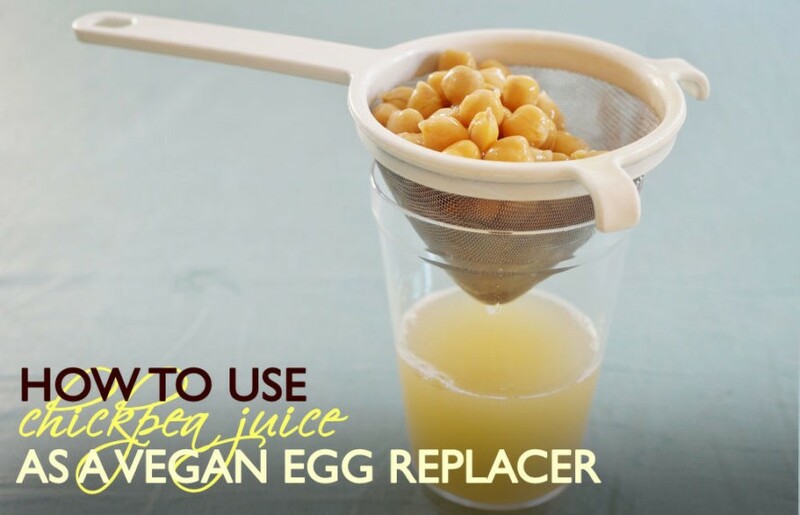 Somer McCowan from Vedged Out swears the aquafaba in this recipe is the best egg replacer ever, and the recipe calls for vegan butter, so back to Nina's vegan butter recipe you go!